In a town that caters to tourists visiting Yellowstone National Park during the summer months, a trip to West Yellowstone can get pricey. But it doesn't have to. With so many outdoor attractions, many activities are cheap or free. Follow these summertime suggestions and you'll be surprised how affordable West Yellowstone can be. Camping is by far your cheapest (and most beautiful!) lodging option. Surrounded by Gallatin National Forest, you can choose from various private and state-run campsites, many scenic and RV accessible, just outside of West Yellowstone. Or, reserve a spot under the stars at one of the 11 campgrounds in Yellowstone National Park for as little as $12 per night. Summer is the busiest time in West Yellowstone as people flock to Yellowstone National Park. 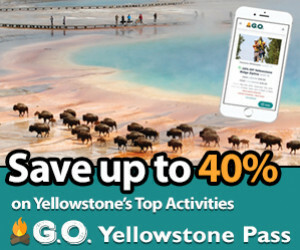 For the best deals on hotels, lodges, and vacation rentals in West Yellowstone, book early and ask about summer promotions. While there are plenty of other things to do around West Yellowstone, Yellowstone National Park is the main attraction, and you'll need at least one full day to explore and experience the true beauty of Yellowstone's geothermal landscape. The entrance to the park is right down town, and from there you can drive along the park's winding roads and stop for hikes, up-close animal sightings, and to check out the many steaming fumaroles and geysers. Stop by classics like Yellowstone's Grand Canyon and Old Faithful and, but don't forget to explore lesser-known attractions and participate in ranger-led programs. Drive the park loop and end up back in West Yellowstone for the evening. 45 minutes South of West Yellowstone, drive this 25-mile scenic byway and catch views of the Tetons plus Upper and Lower Mesa Falls. Stop at Grandview, the Lower Mesa Falls overlook to take in the sweeping expanse featuring the Snake River, Henry's Fork, and the 65-foot falls itself. Get up-close when you venture up the series of walkways that takes you right to the brink of 114-foot Upper Mesa falls. Rent a kayak and glide over the tops of submerged trees - they were covered in water after an earthquake hit in 1959, causing an 80 million ton rock slide that blocked the Madison River and created Quake Lake in a matter of days. After paddling the six-mile lake, stop at the Quake Lake Visitor Center for views of the slide area and information on the famous earthquake. Be transported back to the Wild West when you explore Virginia City, an historic gold-rush boom town. Take a stagecoach tour, pan for gold in Alder Gulch, then watch the Virginia City Payers put on an old fashioned melodrama at the Opera House. Start at the remote Bechler ranger station and you'll already be off Yellowstone's beaten path, away from the tourists and into the wilderness. Hike through Bechler Meadows to Bechler Canyon, where you'll bask in the mist of Ouzel, Colonnade, and Iris falls. Then it's on the Three River Junction to take a dip in the perfectly warm temperatures of Mr. Bubble Hot Spring. With easy access to the Yellowstone, Gallatin, and Madison Rivers, as well as Hebgen and Quake Lakes, you'll have plenty of fishing opportunities. Pick up a $25 Montana fishing permit at a local sporting goods store or one of the Montana Fish Wildlife and Parks regional offices to try your hand at catching rainbows and cutthroats. Rent a mountain bike and watch out for wildlife as you pedal the 30-mile stretch of the old Union Pacific rail bed that runs between West Yellowstone and Island Park, Idaho. Make the 10-mile round trip trek to Coffin Lakes for access to beautiful alpine water on the continental divide. Start at the Watkins Creek trailhead and walk through open sage brush as you begin to climb the 500 feet up to the lakes. On the way back, take a two-mile detour to Sheep Lakes. To access Watkins Creek Trailhead: drive west on US 20. Right onto ID 87 (towards Henry's Lake). After 12.7 miles, turn right onto Mile Creek Road. Park at trailhead. If you don't mind throwing down 10 bucks, visit grizzlies and wolves who can no longer live in the wild up close at the Discovery Center – your money will be well spent. Call 800-257-2570 for schedule and rates. Float down this 5-mile stretch of National Scenic Water Trail – the first in the country - on Henry's Fork near Island Park. Put in at the sign on Big Springs Road/Idaho Highway 84, then relax and take in the views of riverside wildlife. But don't forget to look down too–you'll see right through the water to smooth pebbles and big trout swimming beneath you. Spend four hours cruising with the current, then take out at Mack's Inn. 120 million gallons of naturally temperature-controlled 52-degree water pour out of this Island Park, ID spring each day, forming the headwaters for the Henry's Fork and Snake Rivers. The water is so clear that the spot makes for one of the best trout-viewing places in the nation, and since fishing is prohibited, there's no shortage of fish. Stand on the nearby bridge to feed trout and watch as they swarm the shimmering water in pursuit of falling breadcrumbs. Explore the 11,000 acres of Harriman State Park on foot. Start with a leisurely stroll along the banks of Henry's Fork on the River Trail, then move onto the more challenging Ridge Trail for a 400-foot elevation gain to the Ridge Overlook. From the highest point, you'll see views of the park's pristine lakes and the peaks of the Tetons. For just five bucks, check out this museum in the historic Union Pacific Depot. Perfect for a rainy day, you can check out old stagecoaches, trains, and buses, and learn about the history of transportation to Yellowstone National Park. Happy hours and dining specials are common in local restaurants and bars. Pick up a copy of the West Yellowstone News to check out deals and events. Though the theater is small, talent is big at the Playmill. This local theater, which rotates several shows throughout the summer, puts on impressive musical and theatrical performances for the fraction of the price you might pay in a bigger city (406-646-7757). Get a real taste of the West and hang onto your hat as you watch cowboys mount bucking broncos at the West Yellowstone Rodeo each weekend. At under $20, this fun evening activity won't break the bank. Call 406-560-6913 for dates and times. Six-stories tall, 12 thousand watts of surround sound, and under 10 bucks; watch exciting wildlife movies on a giant screen at the Yellowstone IMAX Theater. Call 888-854-5862 for dates and times. Pack a money-saving picnic and set up on the lawn for West Yellowstone's free weekly outdoor concert series July through September. For a week in August discover what it was like to live the life of a frontier mountain man. Watch black powder shoots, tomahawk and knife demonstrations, and open fire cooking while listening to old mountain folk tunes – all for free at the Smoking Waters Mountain Main Rendezvous. Every August the streets of West Yellowstone are overcome with old-fashioned street rods for a weekend. Check out the cars, watch the parade, and enjoy barbeque dinners, ice cream socials, and live entertainment at this free West Yellowstone event. Cut down on food costs by cooking in. There are three markets in West Yellowstone, but if you're flying into Bozeman or Jackson, stock up there at larger, cheaper grocery stores there. 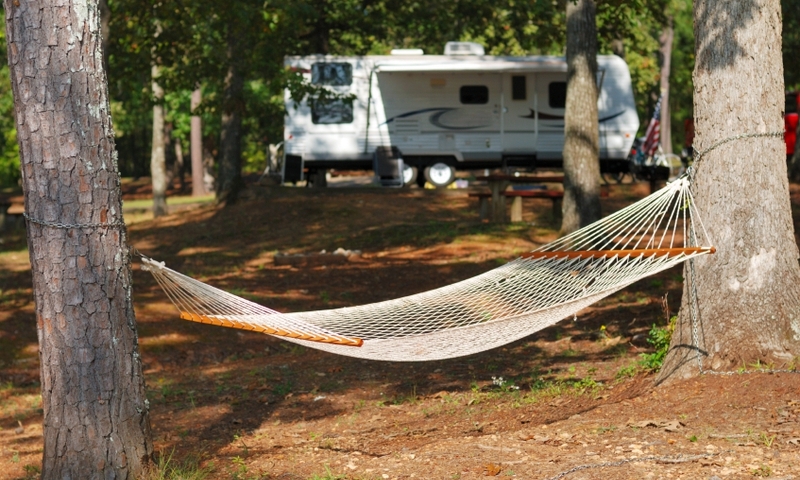 Look for accommodations with a kitchen or purchase a camping stove for outdoor meals. We offer a variety of vacation packages in West Yellowstone. View ALL Packages.